Look but don't touch! Roller shutters provide protection for storefronts while at the same time not restricting the view of passers-by in any way. For particularly large entrances there are roller shutters up to twelve metres wide. Shops and underground parking lots are particularly at risk from burglary and vandalism. Roller shutters provide protection while at the same time not restricting in any way the view (of the salesrooms) and providing sufficient ventilation (of the garage). 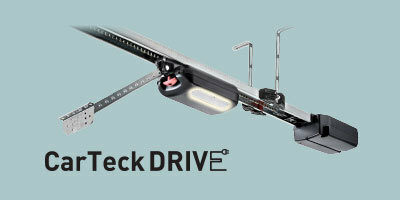 For very large fronts or passages, Teckentrup has developed easily mountable shutter systems of up to twelve feet wide. High-quality and thus reliable protection devices for shops in salesrooms and underground parking lots are an absolute must. Roller shutters are particularly suitable for this: They guard against destruction and break-in attempts, while the salesrooms remain visible at all times thanks to the open design – and with underground parking lots, they also help to ensure that exhaust gases are vented. Teckentrup has the ideal roller shutter for every requirement and every application. Choose from two profiles and three materials. Whether rhomboidal (TG-X made from aluminium) or honeycomb form (TG-A, TG-S and TG-E made from aluminium, steel and stainless steel), this choice is a matter of taste. And the size too can be selected at will. "Even large storefronts can be safely and efficiently protected with roll shutters – up to twelve metres wide with a single roller shutter", explains Pascal Bühner, Doors Product Manager at Teckentrup. Individual customisation is currently playing a major role in the decoration and design concepts in salesrooms. The user's wish: If the shutter is open, it should not be visible. "In these cases the shutter curtains are simply mounted in the suspended ceiling. This way, when it is open, the roller shutter is completely invisible", Bühner stresses. And thanks to a compact winding system, this is usually even possible when there is only a small amount of space in the suspended ceiling. Even in the standard version – including an automatic-lifting device – the roller shutters are constructed very robustly. This way they offer a high level of protection and are both reliable and durable. For a higher level of safety, there are also optional mechanical shutter elements – a sliding bolt and lockable floor sections with electrical scanning. 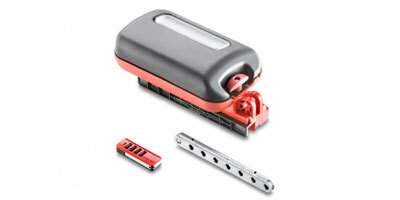 Also possible as an optional extra is a magnetic contact for integration into an alarm system. The shutters are also completely safe when being used. The comfort control CS 310 (dead man) is operated by three buttons and an LCD monitor. Another optional extra is the impulse control with a safety edge. Thanks to optimal warnings and light barriers, accidents can be avoided. Safety is especially important in the winding area. Bühner gives an example: "Some children fancy the idea of asserting their bravery by holding onto the garage shutter as it's opening and taking a ride up to the top with it. This would obviously be very dangerous – especially if the shutter just continued running higher." In such cases, a roll-up safety device with a light barrier stops the rolling shutters, thus preventing injury. This is included in the standard delivery package and conforms to safety category 2. Other protective devices in accordance with DIN 13241 are, for example, intervention and finger protection devices. 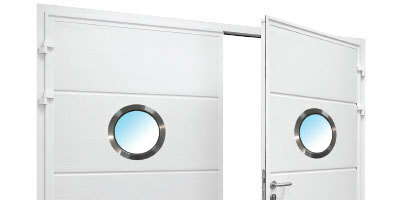 A side door with the identical design offers a solution for passenger transport and ensures escape route guidance exactly where it is needed. "With underground parking lots in residential complexes, the installation should be acoustically decoupled" advises the door expert. This way the opening and closing sounds are not transmitted directly to the building structure and residents are not startled every time a car leaves the parking lot. DIN 4109 applies as a threshold for residential and commercial buildings. This limits the permissible sound pressure to 30 dB in the adjacent part of the building. Not visible: If necessary, the shutter curtains can be mounted in the ceiling suspension. Model TG-X made from aluminium in rhomboidal forms and materials make customisation possible. Optionally, a side door can be installed, for example, as a stationary side panel with a cover.